Beliefs are associated with most obsessions and compulsions in obsessive–compulsive disorder (OCD). The characteristics of these beliefs can vary considerably, which has led to some of them being regarded as overvalued ideas or delusions and has contributed to confusion regarding the conceptualization and classification of OCD. 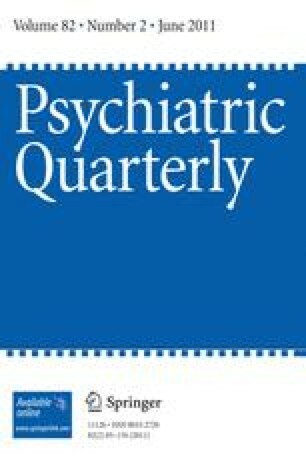 This article proposes that beliefs arising in the context of OCD be assessed along the following, well-defined characteristics: conviction, fixity, fluctuation, resistance (to beliefs), insight pertaining to an awareness of the inaccuracy of one’s belief, and insight referring to the ability to attribute the belief to an illness. This approach to the assessment of OCD-related beliefs may allow a clearer distinction between non-delusional beliefs, overvalued ideas, and delusions. Although the characteristics of non-delusional beliefs may vary, especially on the dimension of awareness of the inaccuracy of belief, these beliefs can generally be distinguished from overvalued ideas and delusions in terms of lower levels of conviction and fixity and greater fluctuation, resistance and ability to attribute the belief to OCD. The development of an assessment tool using these well-defined characteristics will test the proposed model, which may lead to a more objective evaluation of OCD-related beliefs. This is likely to have implications for diagnostic conceptualization and subtyping of OCD. We acknowledge the Nepean Medical Research Foundation and the Pfizer Neuroscience Grant program for funding the Nepean OCD Study.